The second edition of Indus Food saw business deals and agreements worth $1 billion negotiated which would materialise in months to come. Nearly 500 exhibitors, 800 buyers from 78 countries participated in it and it witnessed the signing of 10 MoUs and business deals worth $ 1bn. The event also organized a multilateral dialogue on Indian tea. “In the first edition we had participation from 43 countries which generated business worth $650 million, and this year we managed to secure business transactions worth over $1 billion,” said Trade Promotion Council of India (TPCI) Chairman Mohit Singla. “The most remarkable aspect of Indus Food-II was that it focused on SMEs for export business by bringing buyers to their doorstep and creating business opportunities for producers of value-added and organic products. Moreover, the target of $60 billion exports, as envisaged in our Agri-Export Policy is now within reach,” he added. Indus Food is the flagship global trade show to maximise business opportunities for F&B industry and supported by the Department of Commerce, Ministry of Commerce & Industry. 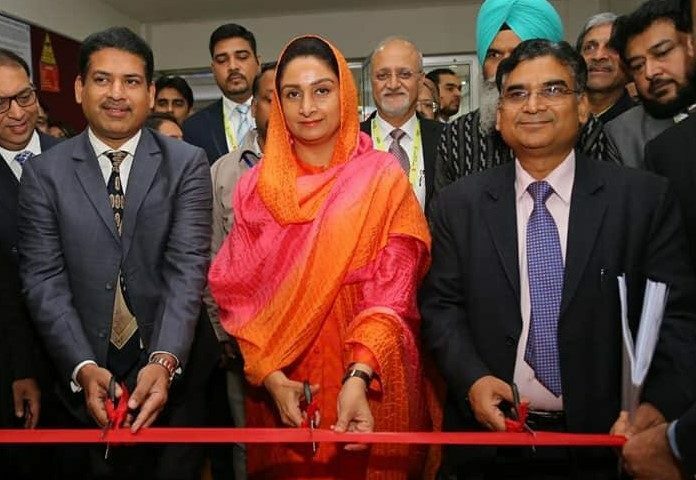 Earlier, at the inaugural of Indus Food-II on Monday, Union Food Processing Minister Harsimrat Kaur Badal had said that the Centre had roped in NAFED to ensure food procurement directly from farmers to help them get better income and save their perishable items in order to prevent them from throwing their produce or doing distress sale.